The European Union Timber Regulations (EUTR) came into effect in March 2013 with the specific aim to prevent the placing of illegally harvested timber and timber products onto the EU market. 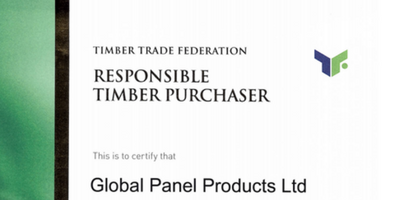 Global Panel Products is fully committed to the European Union procedures set out for all timber companies to ensure the risk of illegally harvested timber entering the EU market is minimised. Global Panel Products is operating a “due diligence” system in the strictest compliance with the EUTR laws to prevent illegally harvested timber and timber products being placed onto the market. Our due diligence system is regularly reviewed internally by our Directors and also by an independent third party to ensure GPP is compliant with the latest EUTR regulations.